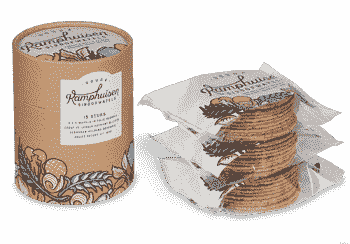 Discover the story behind Kamphuisen and step into the wondrous world of the bakery factory. 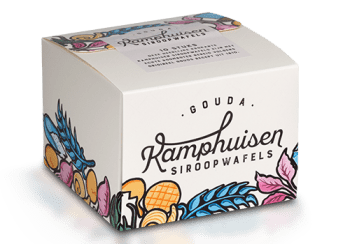 As soon as you come in, you will smell the delicious, sweet fragrance of syrup waffles and you can see for yourself how the tastiest syrup waffles from Gouda are made. 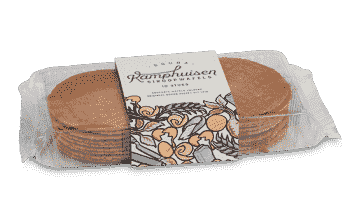 Kamphuisen Syrup waffles are delicious, crispy syrup waffles baked according to the original Goudse recipe from the Kamphuisen syrup waffle from 1810. The waffles are freshly baked five days a week and wrapped in foil so that they retain their crispness as long as possible. Do you want to give this delicious syrup waffles as a present? They are also available in beautiful gift packaging. The beautiful gift box contains 2 x 5 Kamphuisen Syrup Waffles wrapped in foil. 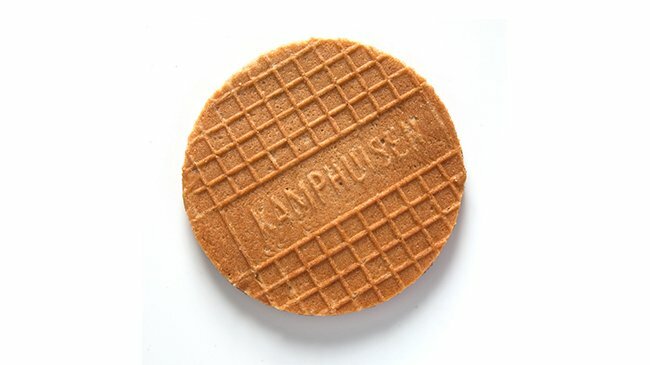 For centuries the Kamphuisen Syrup Waffle has been a huge source of inspiration for many other syrup waffle bakers. 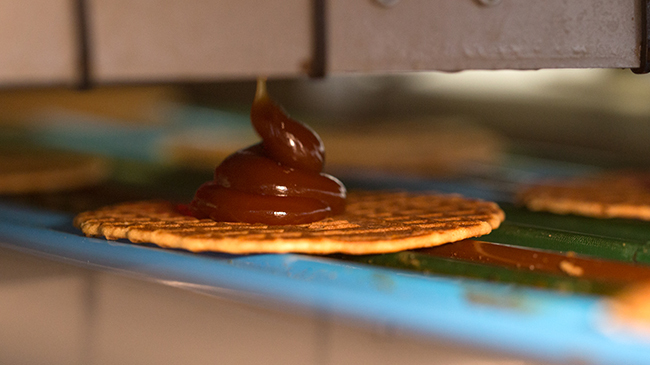 It was different from the treacle waffle and stood out thanks to its crispy biscuit and tasty caramel syrup filling. Many bakers did their utmost best to copy the waffle. With little success. Over the years the recipe has painstakingly been kept a secret. Pieter Willem Kamphuisen derives immense pleasure from inventing a great recipe. After a lot of tasting and experimenting, he comes up with the Syrup Waffle. This biscuit consists of two waffles with a syrup filling. The Kamphuisen Syrup Waffle becomes a huge success. 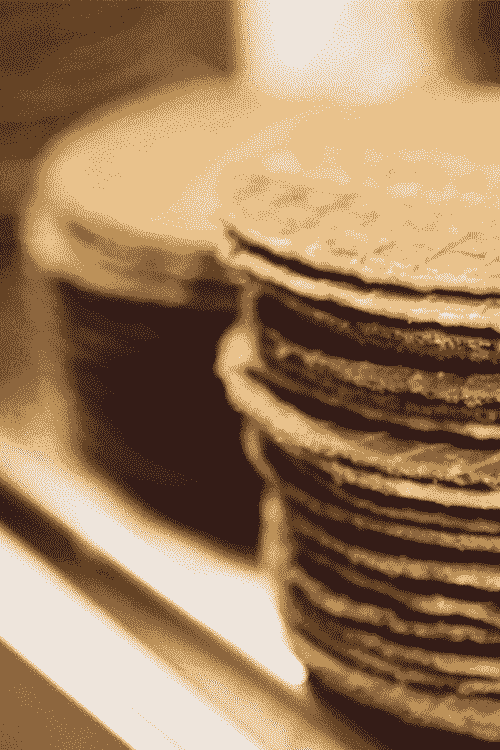 All these years the renowned recipe of the waffle has been kept a secret; in a sealed envelope from 1810. The fully mechanised syrup waffle machine is back in Gouda. 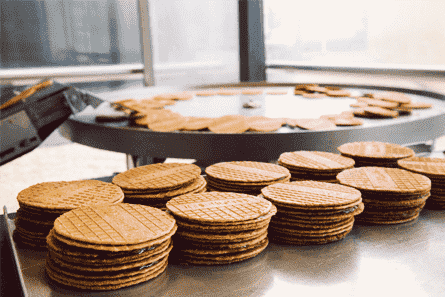 In the town where Kamphuisen became great and at the very same address baker Verweij once used to bake the Kamphuisen Syrup Waffle – Markt 69 in the centre of Gouda – the Kamphuisen syrup waffle factory has opened its doors to the public. Thus, after an absence of six years the production of this Gouda delicacy has thankfully returned to Gouda, where it belongs. 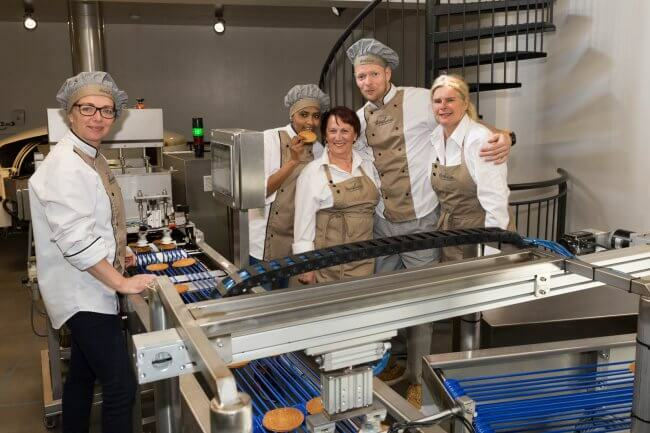 Jan Anker and his sons are happy to welcome you in the syrup waffle factory and hope you will enjoy your visit!